The Judds: Reunion Show in Las Vegas! The soundtrack to my childhood is now available in the most adult city on the planet! The Judds are reuniting for a limited run of shows at the fabulous Venetian hotel and resort in Las Vegas Nevada this October. [bctt tweet=”#TheJudds are back! The Judds are back! Live in Vegas this October at #TheVenetian”] The short residency titled “Girls Night Out” will feature Mamma Naomi and daughter Wynonna Judd performing a variety of their greatest hits together. I don’t know about you, but I’m more excited than a cat in a mouse den! Tickets are available NOW! Wynonna Judd Releases New Single “Love It Out Loud”. Wynonna Judd has released a new single “Love It Out Loud“, and it is now available on iTunes just in time for Mother’s Day. She co-wrote the song with boyfriend Cactus Moser as a tribute to mother, Naomi, and all the love and affection she has for her. The single was a surprise, and Wynonna performed it for Naomi at the final show of their tour in Phoenix, AZ. You can catch this performance on the season finale of “The Judds” which airs Sunday 10pm ET/PT, May 8th on OWN and highlights the end of their tour and how they cope with it. An added bonus for fans, Wynonna and Naomi will be joining the live chat at 10/9c for the first time. They will be sharing behind the scenes info and commentary. So, be sure to tune in! For more info on the show click here. The Judds Are Out and About Promoting Their New Television Show. The Judds are currently all over the place promoting their new, self-titled television series, “The Judds“ which aired last night on the Oprah Winfrey Network, as well as dishing about other new projects like their recently released album I Will Stand By You: The Essential Collection. They will be featured guests on several talk shows this week, including CBS’s The Talk, The TV Guide Channel, and The Late Show with Craig Ferguson. So, be sure to check local listings for dates and times! If TV talk shows aren’t really you’re thing, you can also catch the Judds on the cover of the April 11th issue of Country Weekly. The next episode of “The Judds” airs next Sunday, April 17th at 10pm ET/PT. So, set your DVR and don’t miss out!! The Judds New Album Is Available In Stores Now! The Judds have a lot going on, including the release of their new compilation album, I Will Stand By You: The Essential Collection. The album includes twelve of the duos classics, as well as two new songs, “I Will Stand By You” and “Back Home” featuring Alison Krauss, which mark the first time Naomi and Wynonna have recorded together since 2004. Keep an eye out for upcoming television appearances by The Judds on ACM’s Girls Night Out: Superstar Women of Country set to air on CBS Friday, April 22nd and their own documentary series titled The Judds with a two hour premiere on the Oprah Winfrey Network at 9pm EST on Sunday, April 10th. 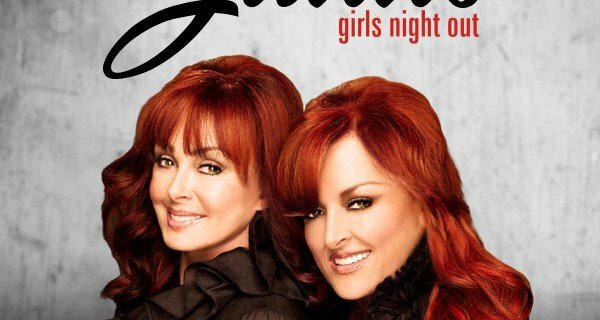 The Judds talk directly to us about their upcoming series on the OWN network! This morning I had an absolutely thrilling opportunity to speak with my all-time life-changing idols, The Judds, about their upcoming docu-series set to air on Oprah’s OWN Network Sunday April 10th at 9/8pm central. ‘The Judds’ chronicles the weeks leading up to and during their first tour together in over ten years, and is meant to work as both a healing tool for the duo, and a way to share with fans the importance of rebuilding their relationship after years of misunderstandings. The interview opens with Naomi greeting Wynonna as “Poopsie Whoopsie” and continues in that line of playful banter throughout the discussion, but then dips into some very revealing and emotional statements interlaced with humor. For example, when asked if there were any ground rules before filming began, Wynonna quickly quipped “No yelling, no interrupting, no hair pulling, no wrestling“, and Naomi following quickly behind “There’s a difference between cuddling and pinning someone down so they cant move“. Of course, Wynonna adds in on a serious note, “Unless I decided that it was part of the scene, the children were not allowed to be filmed because they are not old enough to decide“, echoing many of her statements about how show-business dominated her childhood. When asked why the ladies chose to work with Oprah over any other network, the answer was immediate. Trust. “We trust Oprah… and I know her approach to storytelling is to get the emotional baggage and skeletons out of the closet BUT use it as a teaching moment” – Naomi I do sense a STRONG tendency to revert to “therapy-speak” when both are asked to communicate with each other, which offers a clear view that the healing of their relationship is an ongoing process, but what is most amazing about the way their story unfolds is that EVERY mother and EVERY daughter who watches this series WILL identify with what these girls are going through now, and the road it has taken them to get this far. To summize the interview, what I’m hearing Wynonna and Naomi saying, is that this series is in no way scripted or predictable, and aims to open up their relationship to mothers and daughters worldwide as a way of sharing their challenges, achievements, and growth in what Naomi calls “The Mirror of Truth”. Important sidenote: During the interview, the pair confirmed that they are currently working on a Judds CD which will release in April and a Wynonna CD due in the fall. Looking back on when I fell in love with The Judds. Sometimes music is more than just entertainment. Sometimes music has the power to change our lives or steer our course. The Judds did that for me. As a very young child, I was part of an extremely dysfunctional family. Without going into details, it was needless to say that “love” in the common sense of the word was not something I witnessed in a real life setting. One day, when I was around 8 going on 9, my aunt came to visit my family for a little while. In the midst of the hurt and chaos that always surrounded our home, my aunt managed to give me the greatest gift I could possibly ever receive. She sang to me. She sang songs by Kathy Mattea that were lonesome and heartbreaking. Songs by Melissa Etheridge that were challenging and defiant. Songs by Sweethearts of the Rodeo, Reba McEntire, and even a little Debbie Gibson I think. But for years down the road, the only songs that stood out in my memory from that visit were songs of hope, friendship, romance, family, and life. Those songs would shape my dreams for my future. They would be the soundtrack that I built my life with my children around, and I would use as the bar to measure my relationships by. Those songs that my aunt placed in my head were songs about love in all its different forms. And they were all from The Judds. Thank you Aunt Trish, Naomi, and Wynonna… you changed my life.